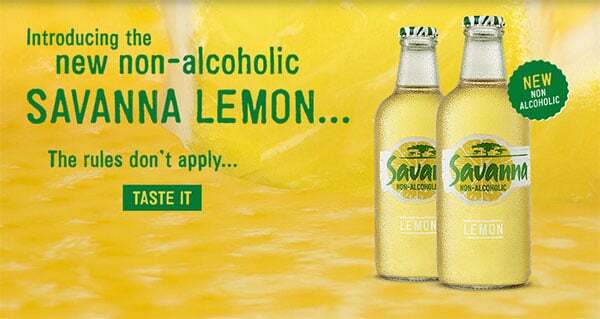 Distell, SA’s largest wine and spirits group, has joined the zero-alcohol trend with the launch of Savanna Lemon Non-Alcoholic. There’s been no formal media announcement of the launch as yet, but the Savanna website describes the new variant of the super-popular cider thus: ” Our first non-alcoholic cider Savanna Lemon gives you a crisp, sparkling and dry apple cider-like taste with a lemon zing. The website lists the drink’s alcohol content at <0.3%. It is only available in 330ml bottles. Respected F&B analysts, New Nutrition Business (NNB) describes the alcohol-free movement as one of the biggest growth opportunities – and one in which there are still gaps for new brands. It’s a global trend that skews strongly to younger consumers and should be of interest to anyone who wants to grow their Millennial market. An NNB consumer survey found that 73% of people aged 25-34 were trying to reduce their alcohol consumption, for health reasons, compared to 49% of those aged 65 or older. Growth is being driven by both an improvement in the taste and offer of no-alcohol beverages (beers, wines, spirits) and consumers’ concerns over alcohol’s impact on health and weight management in particular, says NNB.